Oooh me. I love chicken. Love it. I want to learn more about how to fix it in different ways. I always want to learn. This chicken has cinnamon!? Also, I have never, EVER made food with curry. Until NOW, my friends. And now, I will continue to use curry, because, man! Delicious. However, I will have to use it sparingly so I don’t forever smell like curry. I do want my mother to be able to talk to me in person at some point, and I’m afraid that if I infuse the smell of curry into my very being, my mother will not be able to stay in my presence, at least within 50 feet of my presence, without getting physically ill or disowning me. This recipe has new spice, colorful bell peppers, awesome taste, and pizzazz. Who doesn’t love a chicken dish with pizzazz?? Preheat oven to 350 degrees F. Season chicken breasts with Jane’s Crazy Mixed-Up Salt. 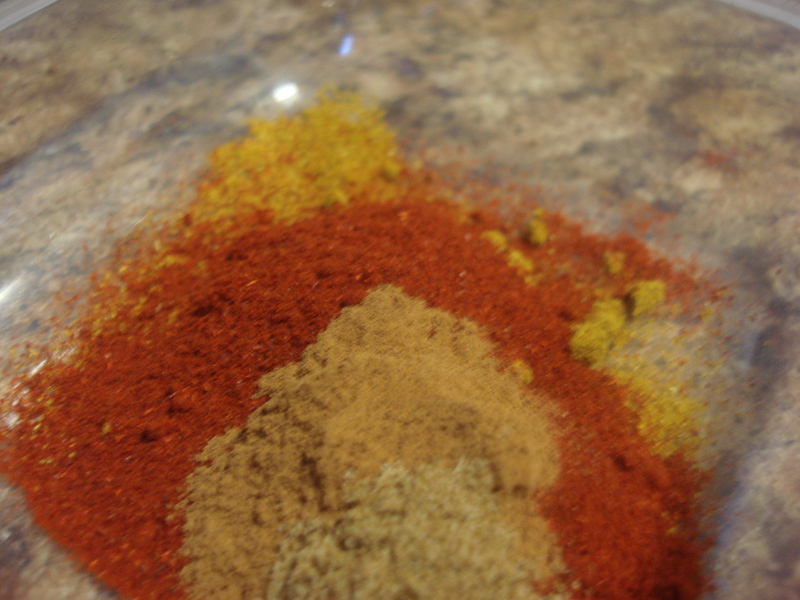 In a small bowl, combine paprika, curry powder, cinnamon, salt, cumin, and olive oil. Whisk together until well combined. Heat 2 T of olive oil in a Dutch oven over medium-high heat. 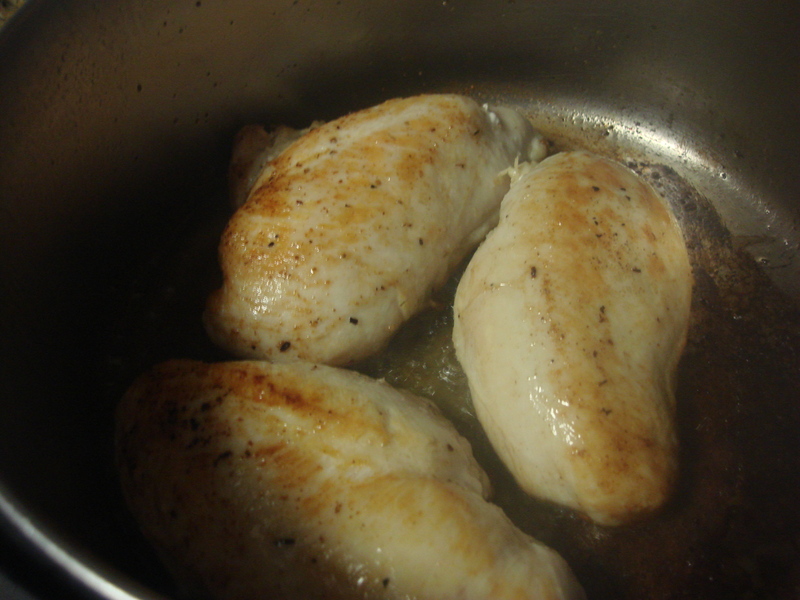 Add the chicken breasts and cook until golden brown on both sides, which will end up being a few minutes for each side. Remove chicken to a plate. 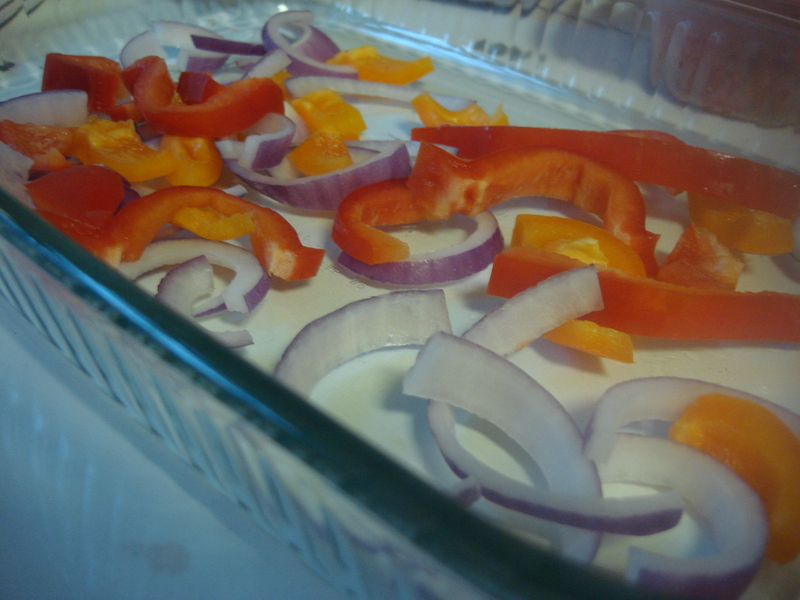 In a baking dish, line the bottom with a third of your peppers and onions. Lay the chicken on top of the vegetables. 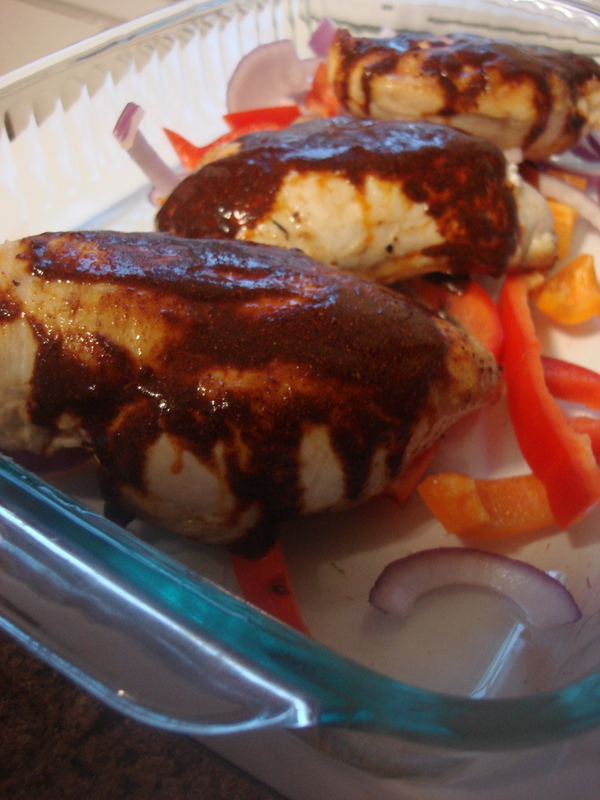 Brush the tops of the chicken breasts with the spice, olive oil mixture. 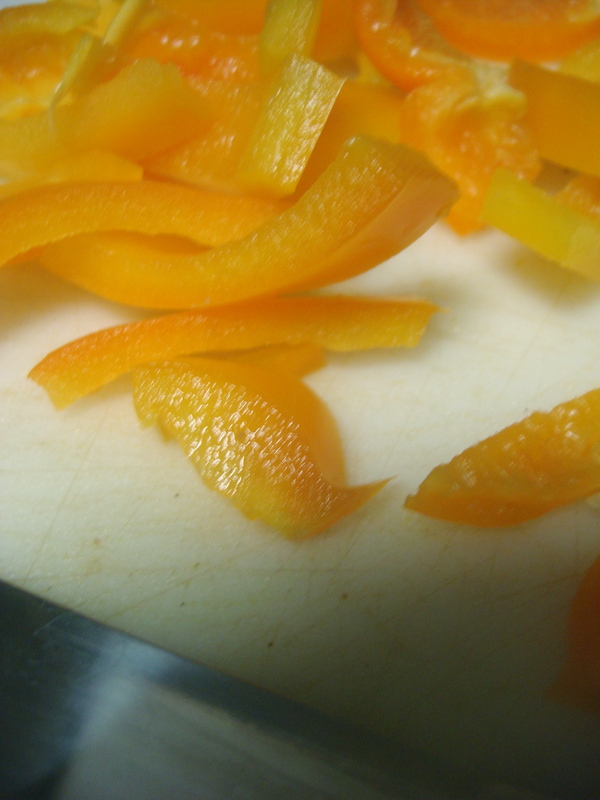 Sprinkle the entire dish with the rest of the bell peppers and onion. Pour the chicken broth around the edges of the pan. Place in the oven and bake for one hour. After thirty minutes of baking, flip the chicken pieces over, toss vegetables, and spoon juices from the bottom of the pan to the top of the chicken. After the next 30 minutes, remove from the oven and sprinkle the cilantro over the chickens. Oh, my, what’s that? 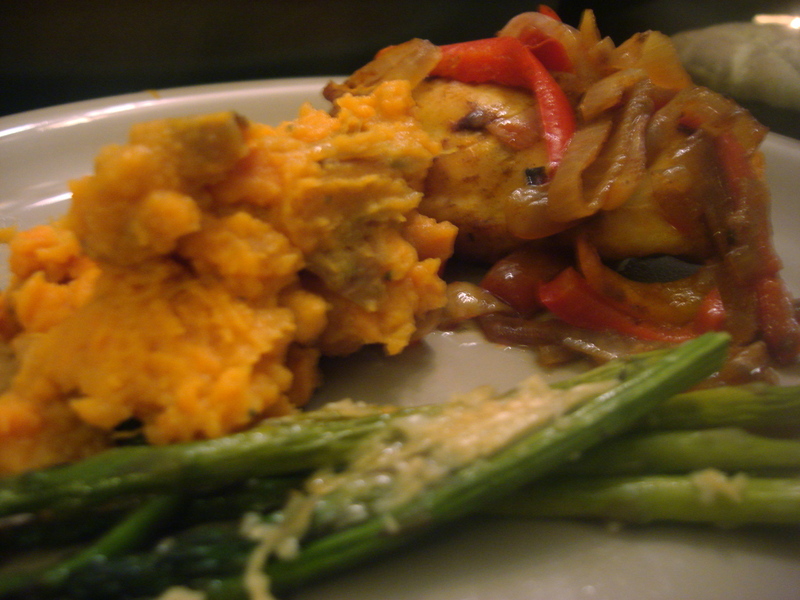 Yes, other foods with this braised chicken. There it is in the back there, and those other delicious delights? We’ll get to those another day!! And I cannot thank my incredible help enough. The 10.10.10 celebration would not have been the same without you, Martha. In fact, it wouldn’t have happened without you!! !